Born in the county of Warwickshire in England. Grew up in Stratford upon Avon, surrounded by ponies at an early age and in the saddle before she could walk. Louisa is a life long horse lover! Pony Clubing, Gymkhanas, Fox Hunting, Eventing and the Hunter/Jumper world were her passions throughout her childhood. Upon moving to Ocala, Florida the Horse Capital of The World in 2001, Louisa purchased her first Tennessee Walker and rode in her first Western Saddle. She fell in love with the trails available to riders in Marion County and the surrounding area and has been enjoying her gaited horse ever since. 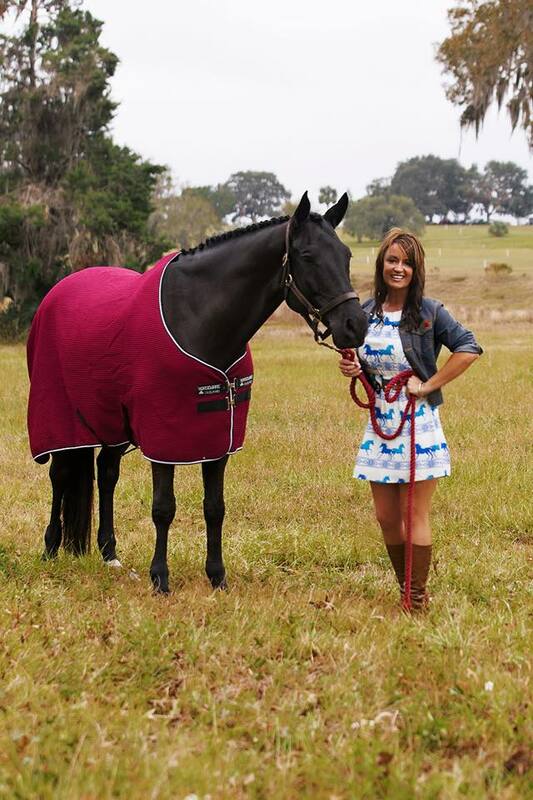 She has hosted The Horse Talk Show since 2013, travelling to horse races, shows and events to bring exclusive, behind the scenes coverage and interviews of world class equestrians to her listening audience. Many of her followers, often claim to live vicariously through her equine adventures. Her vast experience includes working in Veterinary Hospitals and owning her own horse boarding facility. Enjoying anything from the greenway trails to the racetrack and the Grand Prix ring, Louisa delivers equine news and “edutainment” with her British Banter and sometimes even a giggle and a snort. Louisa has no social life, as she works a lot! Louisa lives on a farm with her son, 2 horses, and a partridge in a pear tree. She is currently the director of equine engagement for the Chamber and Economic Partnership and also a Farm Realtor.